Knit Nat: Thrift Finds 5 -- Any Suggestions? I'm not one to dress like a hipster. In fact, I very much enjoy poking fun at hipster men and women, what with their floppy hats, floral skirts and oxford shoes. What I'm trying to say is I bought some little oxford shoes for $1.25 at the Salvation Army and I don't know what to do with them. I don't know how to wear them. I could try and be a hipster poser, I don't mind that at all. I feel seriously funny when I wear them with a skirt above the knee. I don't like how skinny jeans look on me -- I feel like a mom. Capris make me feel short since my legs are already kind of stumpy. 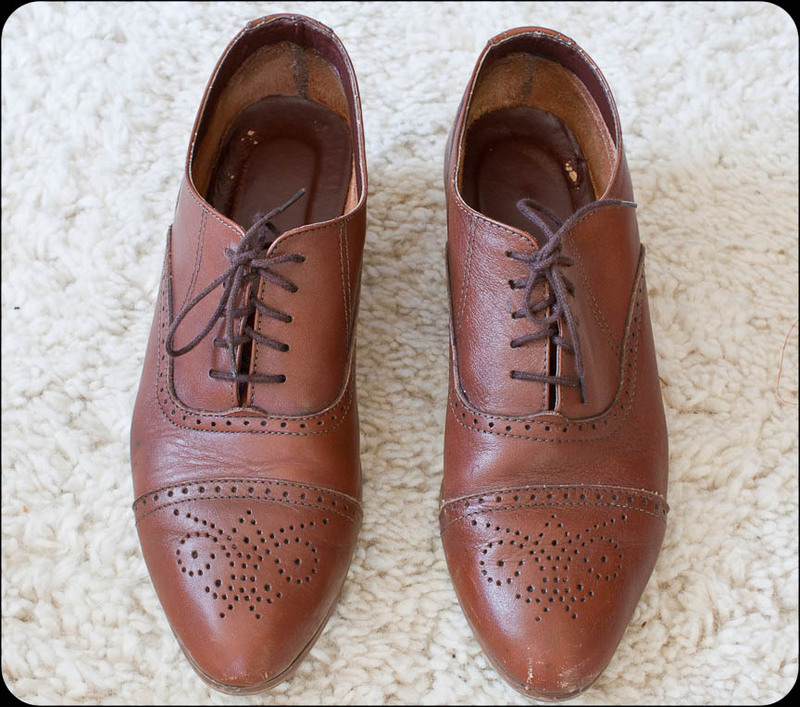 Am I not cut out for cute little oxfords? Any advice would be greatly appreciated. try flared or bootcut jeans they would fit nicely! btw these shoes are in super good condition.